Jerry Scutts wrote this 39th Squadron Special and it's crammed with photos,colour plates and line drawings to aid modellers sorting out all the Spitfire marks and variations. As a catch-all pictorial reference for the classic RAF fighter it's hard to beat. Ex-Motor Books copy with some weathering around the edges but complete. 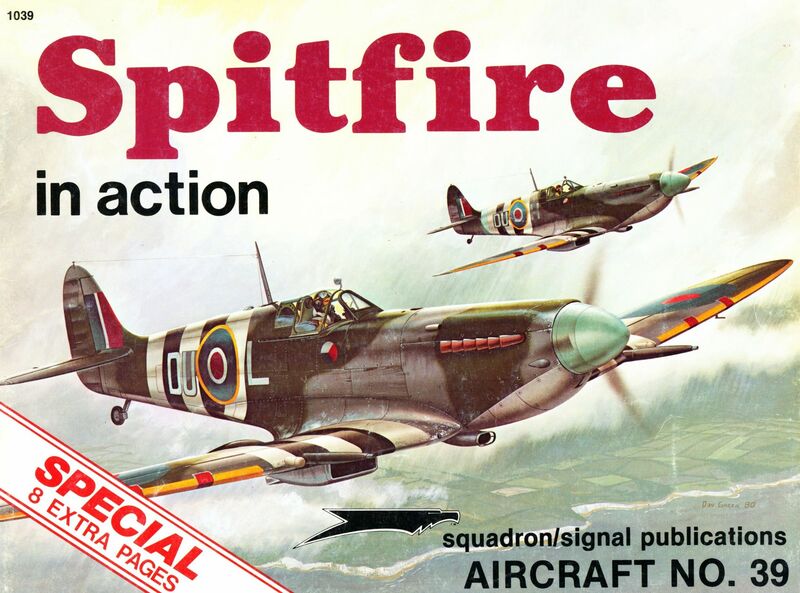 First of the classic Aeroguides and what could be more fitting than the iconic British Spitfire? 36 crammed pages include a double page cutaway of the Mk.V; dozens of photos;sketches and a colour profile. Faded pages but complete!